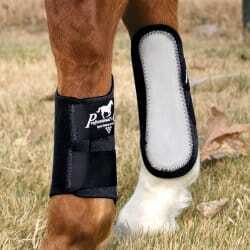 Endurance riders know that below the knee is one of the most common sites of injury in horses. There is little soft tissue to cushion impacts so injuries are easily caused by hitting sticks, overreaching or getting splints while riding on the often-trying terrain of endurance tracks. This type of injury can be career ending. Luckily, there’s an easy fix! Exercise boots are an effective way to prevent many commonly occurring impact or puncture injuries. 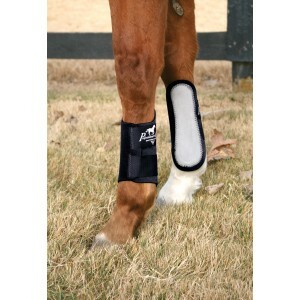 Design has come a long way in addressing the specific needs of endurance horses with boots being made from materials like neoprene. 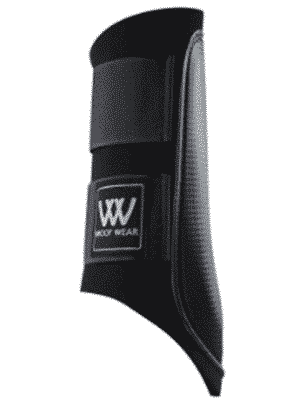 Neoprene is a clo sed cell foam manufactured from a polymer called Chloroprene. 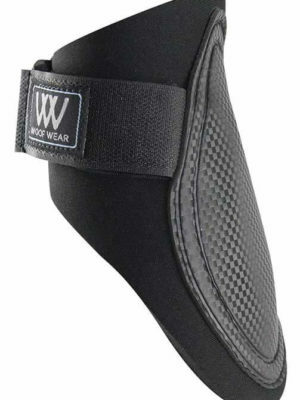 It is very durable and because of it’s closed cell, it doesn’t absorb water, meaning your horse boots remain light even in wet conditions. 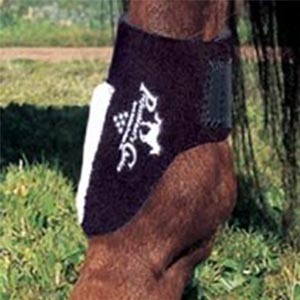 Breathable neoprene has an array of carefully measured holes punched through the foam to allow ventilation keeping your horse’s legs cool. It is important to get the fit right. Always make sure that the leg is clean and dry, the padded section of the boot is placed on the inside of the leg and that there is an even tension on each of the straps without it being too tight. A good tip is to flex your horse’s leg while it is wearing the boot and check that there is no skin or hair being pinched on the flexed side of the joint – this will ensure that you are getting the most protective coverage without interfering with the movement of the joint itself. Riders are spoiled for choice when it comes to booting options, but when considering the endurance horse, the most important aspects over long distances are weight, flexibility, breathability and fit. Tick these boxes and you can’t go wrong!